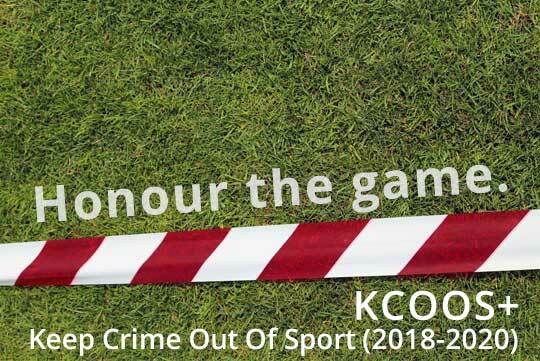 The project Keep Crime out of Sport+ (KCOOS+) was officially launched on March 9 in Strasbourg. Following the success of the KCOOS project which sought to promote the Council of Europe Convention on the Manipulation of Sport Competitions and support states with the implementation of its provisions, the CoE together with key partners and stakeholders, including the INTERPOL, the Lotteries (GLMS-EL-WLA), Ethisport, RC3 and Partners and a number of states, including France, Switzerland, Norway, and Cyprus, launched today the follow-up project which will seek to go even deeper and further and have a world-wide impact. GLMS President, Ludovico Calvi, has stated “This is a historical day for many of us and we have the objective to effectively contribute to such an ambitious world-wide project taking the fight against match-fixing onto higher grounds. The Lotteries, always on the frontline in the protection of sports values, are taking a strong commitment with this project and will be actively supporting every phase of it”. KCOOS+ Project Manager, Cassandra Fernandes has added “The Lotteries, through EL, proved to be a very committed and enthusiastic partner during the first KCOOS project and had a concrete contribution to its success. We are delighted that we have GLMS and the Lotteries (EL&WLA) on board for the KCOOS+ project and I am convinced that thanks to their expertise, enthusiasm and dedication will contribute once again to increasing the impact and success of the KCOOS+ project as well”.